"Till You Say You’ll Be Mine." Olivia’s U.S. album debut, "Let Me Be There," produced her first top ten single of the same name, with Olivia being honored by the Academy Of Country Music as Most Promising Female Vocalist and a Grammy Award as Best Country Vocalist. CHEC’s mission and goals enabled the organization to receive worldwide attention and support. (For more information visit www.HealthyChild.org). A Celebration In Song,” has been released internationally and features duets with Keith Urban, Delta Goodrem, Sir Cliff Richard, Richard Marx, Amy Sky, and Barry Gibb to name a few. The ONJCWC is expected to open its doors in 2012. Olivia continues to give back to the community generously and has been acknowledged many times by charitable and environmental organizations for her ongoing efforts, among them: the American Red Cross, the Environmental Media Association, the Women’s Guild of Cedar’s Sinai Medical Center, the Rainforest Alliance and Concept Cure. Continuing her efforts to find a cure for breast cancer, Olivia launched the Liv Aid ®, a breast self-examination aid that assists women to exercise breast self-exams correctly (www.Liv.com). Olivia credits her own breast self-exam as the first step to her eventual diagnosis of breast cancer. Now, 19 years later (and cancer free) she has become a passionate advocate in creating awareness for early detection and, encouraging women to take a more active role in their breast health. In 1999, Olivia garnered an Emmy Award for her songwriting and returned to work as a performer touring extensively in the United States for the first time in seventeen years. In the new millennium, her international recognition has continued to grow. She was invited by the Vatican on behalf of Pope John Paul II to perform at the Jubilee Celebration for the Sick and Healthcare Workers and, she was thrilled to perform at the Opening Ceremony of the Sydney 2000 Olympics to an estimated global viewing audience of four billion people. Adding to this Olympic experience is what Olivia feels is one of her most memorable moments - the honor of carrying the Olympic Torch during the Olympic Torch Relay. In 2002, Olivia was inducted into the prestigious Australian Music Hall Of Fame at the 16th Annual Aria Awards. Then, in 2006 she received the Lifetime Achievement Award, presented by friend John Travolta at the G’Day L.A. Gala. Her passion for Australia was proven once again when Olivia reunited with friend and business partner Pat Farrar to launch their distinctly Australian wines under the iconic homegrown brand Koala Blue, to proudly bring the “taste of Australia” to the rest of the world. In February 2005, along with her business partners Gregg Cave, Warwick Evans and Ruth Kalnin, Olivia opened the Gaia Retreat & Spa in Byron Bay, New South Wales, Australia as an ideal place to renew, refresh and restore. The retreat was honored with the Conde Nast Traveller 2008 Readers’ Spa Award Winner for the “Favourite Overseas Hotel Spa: Australasia & South Pacific.” In January 2010, TripAdvisor named Gaia #3 of the Top 10 Celebrity-Owned Hotels in the World, putting Olivia in the company of fellow hotel owners, Robert Redford, Bono and Robert De Niro among others. In 2011 Gaia Retreat and Spa also received the “Best Health Retreat” Award at the Gourmet Traveler Travel Awards. 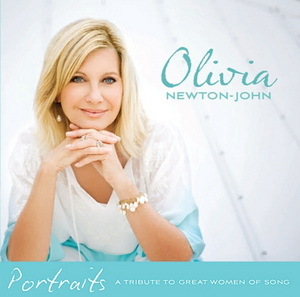 “Olivia Newton-John: Live From Sydney!” filmed at the historic Sydney Opera House with the Sydney Symphony. A two-hour DVD release of this stunning performance, featuring additional concert footage and Olivia’s personal tour of some of her favorite spots in Sydney, was released by Capitol / EMI in January 2008 and subsequently became a favorite concert special on PBS. In 2008,Olivia began co-hosting and co-producing the PBS series, “Healing Quest” and, she reprised her film role of Bitsy Mae Harling from “Sordid Lives” in the series of the same name for LOGO, to rave reviews. In 2010 Olivia also appeared in two episodes of the hit series, “Glee,” adding another Top 100 hit to her credits with a new version of “Physical” sung with “Glee” star, Jane Lynch. In October 2010 Olivia starred in the breast cancer docudrama “1 A Minute” and, the film “Score: The Hockey Musical.” Her latest film, “A Few Best Men,” will be released in January 2012. In 2008 Olivia married Amazon Herb Company owner and founder, John “Amazon John” Easterling (www.AmazonHerb.com). Together Olivia and John are spreading the word about the importance of preserving the Rainforest and, the health values found in the botanicals of the Amazon. In addition, they are working together with the ACEER Organization (www.ACEER.org) to help the indigenous people of the Amazon gain ownership and title to their land. In September 2009, they also joined forces with Prince Charles’ The Prince’s Rainforest Project (www.RainforestSOS.org) to further stress the global importance of Rainforest. With the release of the Amazon Herb Company skin care system, Amazon Rain, Olivia continues to spread the word about the Rainforest botanicals while at the same time reveals the product as the beauty secret behind her radiant skin (www.AmazonRain.com). In May 2011, Olivia released her first book, LivWise: Easy Recipes For A Healthy, Happy Life (Murdoch Books) in Australia. In LivWise, Olivia explains her belief in the importance of eating a healthy diet in order to maintain wellness and balance. LivWise will introduce you to ways of eating and living that will keep you in good health and happiness and will be released in the USA and United Kingdom in April 2012. In addition to starring in films and on television and writing books and music, Olivia continues to spend time in the recording studio. Her healing CD, “Grace and Gratitude: Renewed” (2010), which she co-wrote and produced with Amy Sky, debuted at #2 on the Billboard Magazine “New Age” chart. In addition, Billboard celebrated Olivia’s new music by saying, “Newton-John is soulfully committed to every word she sings, and fans will be taken by the plush arrangements, melodic warmth, and of course, the artist’s regal vocals.” She is currently working on a dance remix CD of some of her classic hits, as well new songs, for release in 2012.